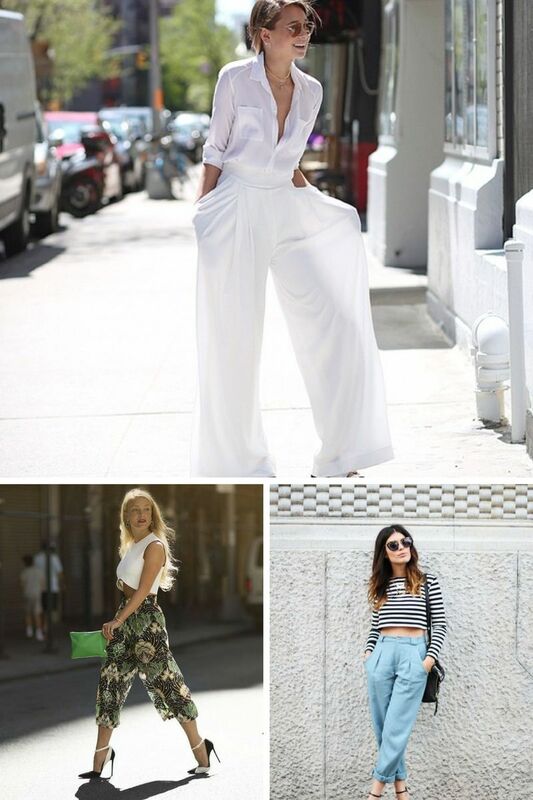 In today’s article, I want to show you the chicest summer pants you can try on next season, I am talking about wide leg pants, high waist tailor designs, jogger pants, flowy print oversized trousers, etc. Just don’t be so skeptical about these designs, as every single piece is great for underlining your individuality making you stand out from the crowd. 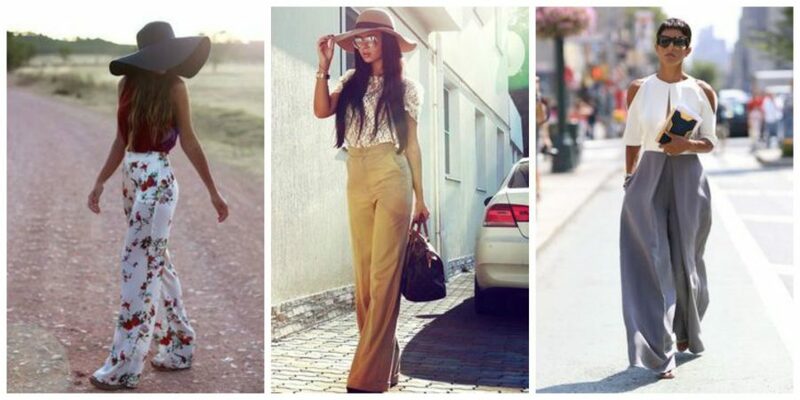 Fashion is pretty spiral and always returns to the past for inspiration, that’s why we see a comeback of 1970’s and 1980’s fashion when we look at the latest summer pants collections. 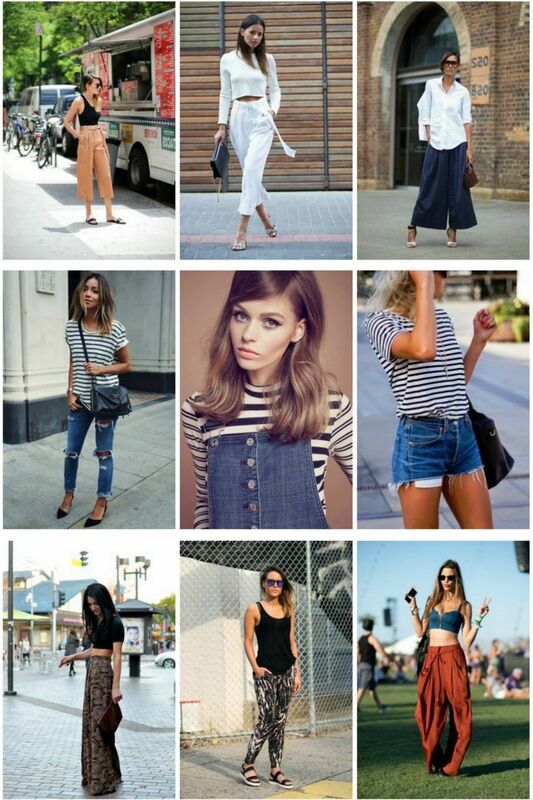 Those decades give us plenty of cool stuff, so what about taking a deep breath and see what’s trending right now! In other words saying, the bigger, the better! You will need something bigger, long, fluid, loose-fit and relaxed. The casualness should be mixed up with elegance, minimalism, and uniqueness. In other words saying, you should be above fashion trends and be yourself. 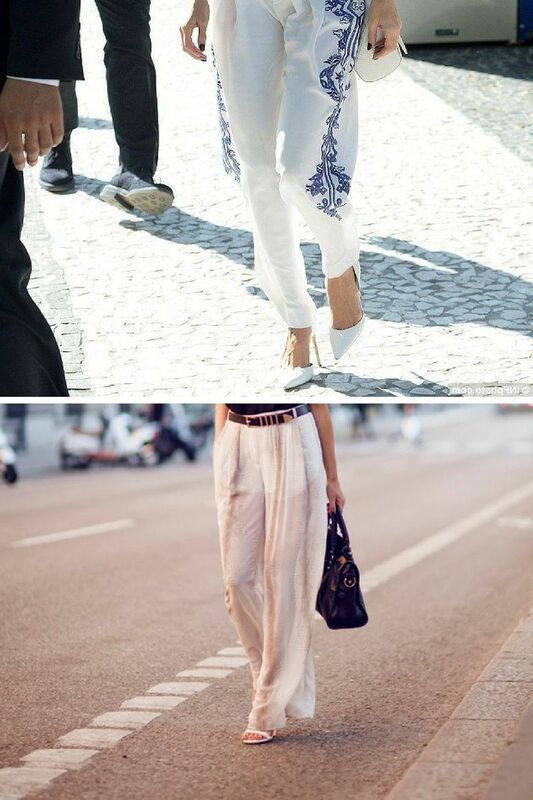 So, the best trousers to choose are flowy print pants, jogger pants, harem pants, all sort of wide leg trousers, culottes and high-waist styles. Avoid skinnies and fitted trousers. You should choose comfort instead of style. Let skinnies work for office hours and keep things laidback by sporting wide trousers. 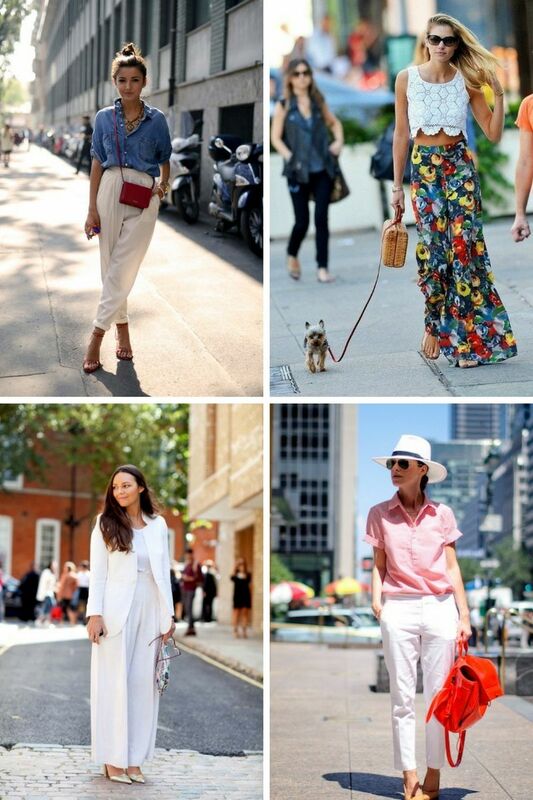 I am not saying wide pants don’t work for work, but keep things cool, fun and sophisticated. 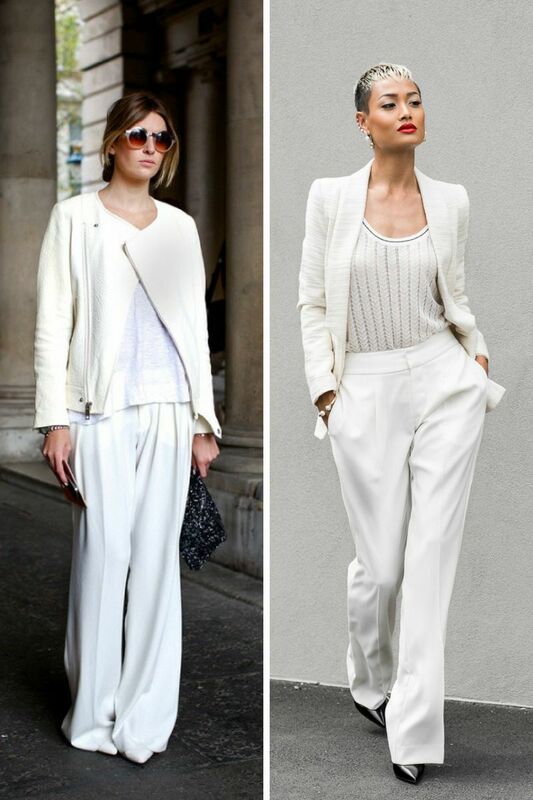 See women wearing wide leg fluid trousers in white color, they look fabulous with almost everything. You are free to wear them with casual or dressy tops. The tailored high-rise trousers that are cuffed at the ankles look pretty chic with absolutely everything, starting from smart blazers to classy button-downs covered with bomber jackets. 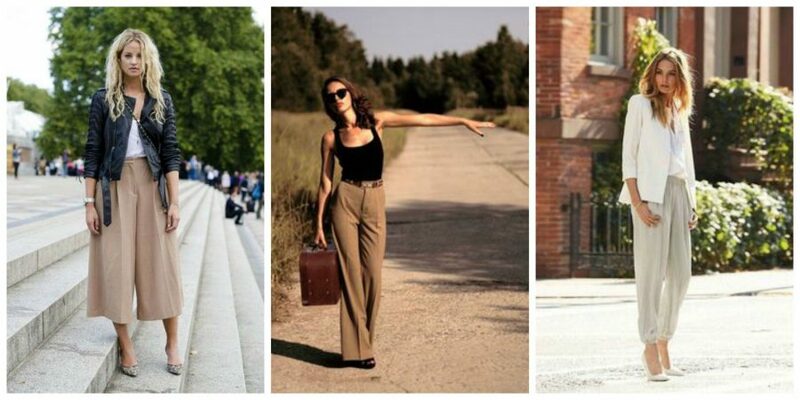 Culottes are ideal for a polished summer wear, they look professional but still quite relaxed. 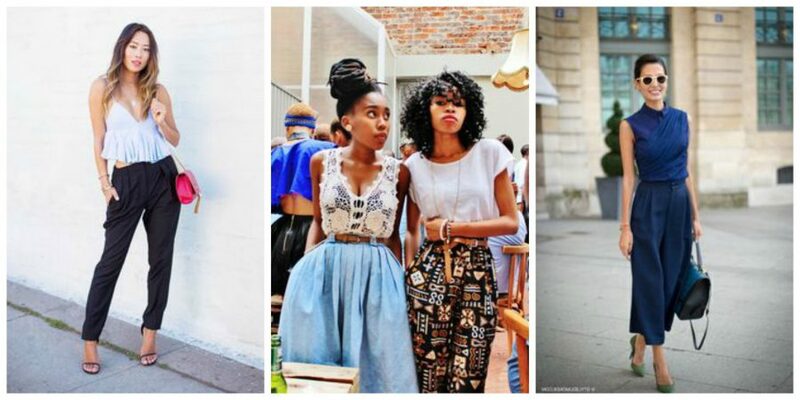 Other styles, like harem, jogger, and wide-leg printed trousers are perfect for parties and boho chic events. So, which ones are your favorites? Let me know in the comments below. Thanks for these options. They are really going to help me out with my shopping. These are nice!